Brilliant white glossy finish and outstanding "color pop". 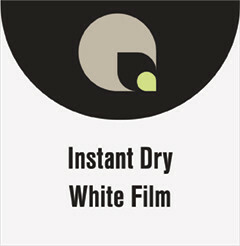 Features an instant dry coating. May be laminated with either thermal or pressure sensitive laminates. Ideal for tradeshow, retail and other point of purchase displays. Smooth surface makes it perfect for facemount prints.